They are not a specific type of air cleaner filter, but rather a specific filtration standard which many types of filters may meet. ULPA filters are among the highest efficiency rated filters available. The implementation of this level of air filtration is crucial as ULPA filtration has the ability to stop the spread of airborne infectious disease and toxic agents. Hospital and healthcare organizations often employ ULPA filters in isolation, intensive care, and operation units as well as biological safety cabinets. Other industries such as aerospace, military, animal handling, biopharmaceutical facilities, heating, refrigerating and air conditioning utilize these filters as they offer “absolute filtration”, meaning as close to particulate free air as is possible with current technologies. Pre-filters in the form of foam filters or electrostatic filters can be used to remove larger particulates thereby increasing the efficiency of ULPA filters as they can then focus on smaller contaminants. Pre-filtration may extend the useful life of these precision filters for several years. In general, ULPA filters are made of spun-hooked fibers rolled into paper-like material which is then formed into panels. The panels are often pleated to increase the surface volume of the filter without requiring a larger frame. 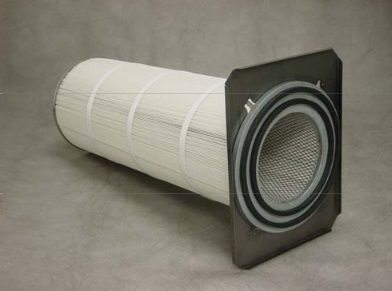 Porosity is one of the most important considerations concerning the selection of fibers for a ULPA filter as their main goal is removing as many particulates as possible. Measured in pores-per-linear-inch, or ppi, lower porosity signifies lesser air flow, but more filtration. Cellulose acetate, ceramic, carbon, glass fiber, cotton and polyester are all low porosity fibers commonly used alone or in combination to create filter panels. These panels are placed into frames or housing units either by the manufacturer or, in the case of separately sold components, by the user. Housing units are built of sturdy materials to secure the filtration panels. Frame materials include aluminum, plastic, steel, Teflon and modified acrylics among others. The wide range of use for ULPA filters means many options and therefore many factors to consider when selecting an appropriate filter. Porosity, as previously discussed is one factor, while efficiency, filter length, height and width as well as ply are also important. Though the filters themselves may become prone to shedding of particles, out-gassing, and limitations with regards to resistance to chemical deterioration, improvements in treatments and construction continue to reduce filter decline. Polypropylene, for example, is added to many fiber blends to enhance chemical resistance. ULPA Filters ULPA filters are ultra-low particulate air filters that are qualified as being 99.9995% efficient in removing particles 0.12 micrometers or larger such as dust, pollen, mold, microbes and more from a given air stream. Like HEPA air filters, or high-efficiency particulate air filters, ULPA filters remove extremely small particles from the air in order to purify it.